Upon biting or brushing, have you noticed blood leaking from your gums? 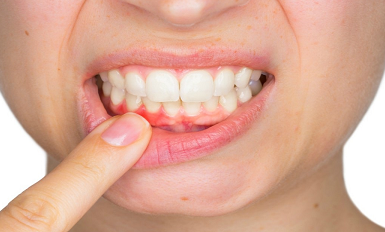 If the answer is yes, then you are most likely to have gum disease, also known as periodontitis. If left unchecked, it can get worse with time and go beyond than just inflammation, causing ligaments and bone to wear down. In order to avoid this, we have collected handful information from Los Algodones dentist. So if you wish to know what it is, the causes, prevention, and more, then you are at the right place! Gum disease: what is it? Gum disease is the condition where, through bacteria in plaque, the gums get inflamed and ultimately can attack the bone that help supporting your teeth. Although these bacteria are always present in our mouth, not all of us suffer from gum disease. It takes the right conditions for the bacteria for them to thrive and start causing damage to your mouth. Very pulled back gums that expose the root of the teeth. For pregnant women, it has been linked to an array of pregnancy problems like premature birth, low birth weight and pre-eclampsia. Although we call it gum disease as a general term, it has three names depending on the stage: gingivitis, periodontitis and advanced periodontitis. Gingivitis is its early stage. This is where the buildup plaque affect the gums making them swell, red and to easily bleed when eating or brushing. At this point only the gums are affected and there is no damage to the bone or tissue yet. Periodontitis is when the damage starts to get noticeable. The gums and bone pull away, which may not be too noticeable due the inflamed gums. Since the gums are pulled back, there are gaps, also called pockets, between them and the tooth. These gaps store food, bacteria and plaque so they become infected. Advanced periodontitis is the last stage of gum disease. The pockets in the gums are even deeper and there is a lot of damage done to the bone structure and tissue. What are the most common causes for gum disease? This is a question we get asked a lot in Los Algodones, and the answer is simple. Most of the time it will be for a lack of hygiene. As you know there are many, many bacteria that live inside our mouth. Most of them are harmless, but the problem lies when we lack a good oral hygiene. This allows for plaque to buildup, and with poor hygiene it escalates into tartar. Setting that aside, other common causes are smoking, medications that inhibit saliva production, and certain illnesses such as HIV, cancer and even diabetes. So how do we prevent gum disease? Brush your teeth twice a day. Make sure to pay attention to each tooth and to brush against your gum line at an 45° angle. The amount you brush can be higher if you feel the need to, but make sure to use a soft toothbrush and gentle strokes. Use floss once daily. This helps greatly in removing the plaque stuck between the teeth. This can be done after or before brushing, whichever you prefer. Use fluoride whenever you can. It is in tap water, toothpastes and some mouthwashes. Stay hydrated. By drinking water you are helping wash away food and bacteria, and also improving your saliva production. Visit your dentist twice a year! This is a huge help as they will perform a full cleaning on your teeth. Not only that but point out what you could be doing to improve your dental health. No Replies to "Gum Disease: What You Need To Know"